‘A Cure For Wellness’ Review: Dark, Bold, and Beautiful. A Cure For Wellness Review: Dark, Bold, and Beautiful. 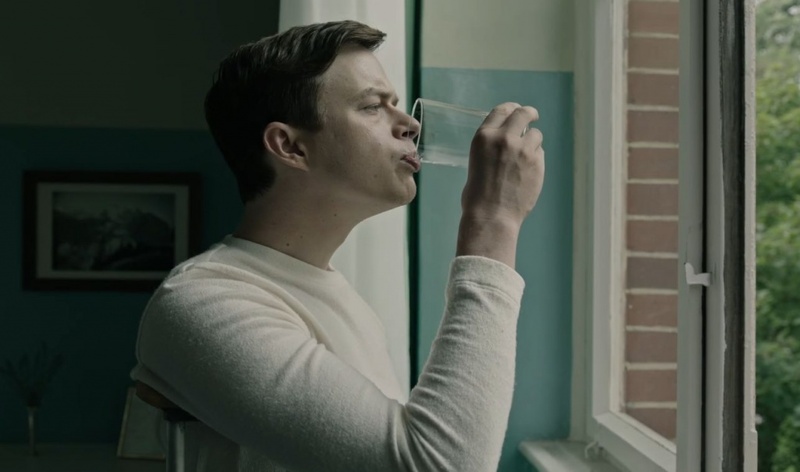 A Cure for Wellness is centered around Lockhart (Dane DeHaan), an up and coming New York stockbroker. After being promoted, Lockhart is sent to a medical spa in the Swiss Alps to bring his company’s CEO Roland Pembroke (Harry Groener) back to New York after an unplanned extended vacation. As Lockhart arrives at the medical spa, he learns that he is unable to see Pembroke as it is past visiting hours. Lockhart leaves the spa and plans for an early morning return the following day. As Lockhart leaves the resort, his driver hits a deer which results in a horrific car accident. Lockhart is omitted to the medical spa only to discover that he has been diagnosed with the same condition as Pembroke and the others. Now, Lockhart must attempt to find the cure as a way to not only help himself but the others. I want to open this review by stating that I went into this film blind. All I knew about the project was that it was directed by Gore Verbinski and starred Dane DeHaan. I had no idea what the film was about nor did I watch a trailer or advertisement of any kind before seeing it. 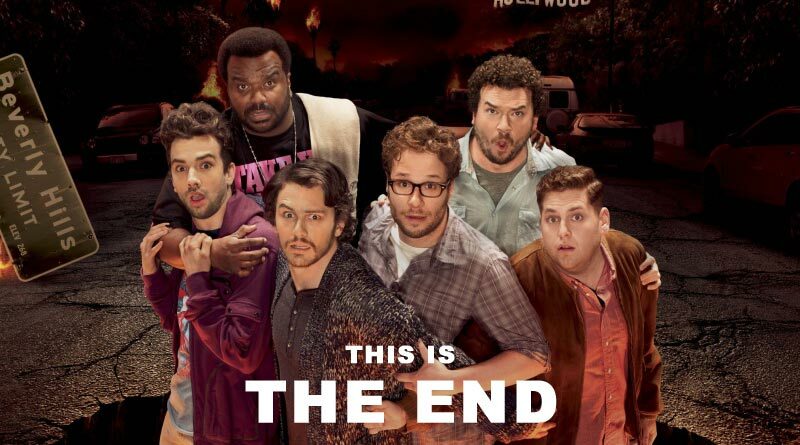 With that being said, this isn’t your typical Hollywood thriller. There are some surprises and twists along the way, but there is much more to this story than what is found on the surface. A Cure for Wellness is a studio film that tackles themes and subjects that are rarely found in this type of project. These elements are typically found in smaller independent films but are incredibly rare to see in bigger budget films released by a major studio. 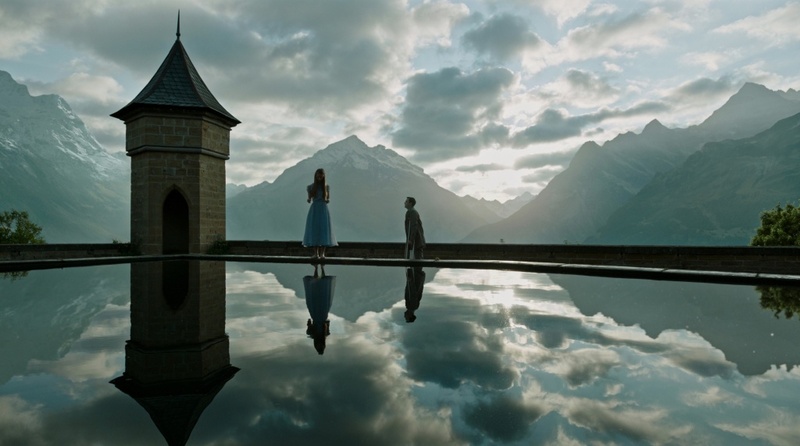 There are so many underlying themes throughout A Cure for Wellness that I couldn’t help but find myself so deeply engrossed in the story from beginning to end. I feel like most audiences won’t get all the “hidden” messages because they will be too focused on figuring out the twists that occur along the way. This is a tough film to review because I think you can look at it from two different perspectives. 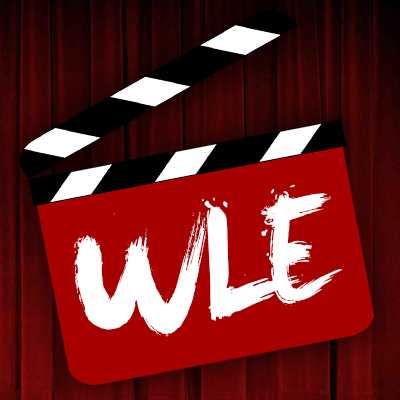 The casual movie-goer is going into the film expecting a thriller, but to me, while the thrills are there, the bigger focus should be on the statements being made about society and how we are always looking for something or someone to solve our problems. This film requires a lot from its audience because it asks questions that people tend to ignore or don’t like to talk about. Justin Haythe and Verbinski‘s script brings up questions like what makes you happy in life and how much is enough. There are a lot of heavy questions being asked throughout, and while some are very on the nose (everyone drinking water), others will go over certain audience members’ heads (the scenes with the reflections). 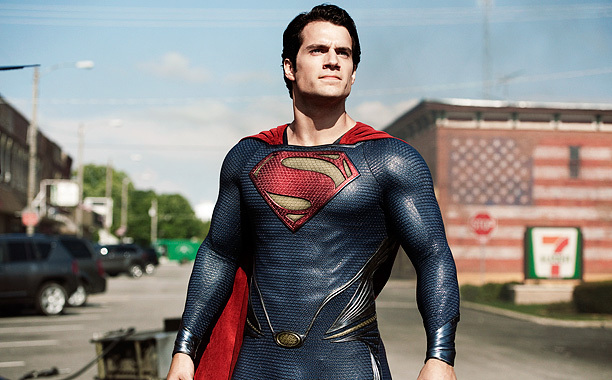 The film also takes it’s time to build the story and the characters with a runtime of about two and a half hours. This isn’t the type of film that reveals all the information right away. Even if you predict some of the twists early on, there is more to the film than the twists. The character of Lockhart is not a very likable person, yet the entire film revolves around him. There is something refreshing about a film having a character like Lockhart as the protagonist for this type of story. It doesn’t seem like the “go to” personality type to tell a story like this, but when you think about Lockhart’s intended career path and how he views his life; it all makes sense. DeHaan embraces the role of Lockhart with a lot of passion. While the story itself is a mystery, a lot of Lockhart backstory is also a mystery. We as audience members learn about his life, and family relationship as the story unfolds. DeHaan for about 70% of the film is walking around on crutches. I give him a lot of credit for taking on a role that is unlike anything that he has ever played before while also challenging himself physically. Mia Goth plays Hannah and is such an interesting character. Hannah’s story is a total mystery. She is the youngest patient at the spa, and unlike everyone else, she was raised there. She bonds with Lockhart since they are closer in age and Lockhart gives her the opportunity to see the world that exists outside of the spa. Goth has a real innocence that she brings to the character. DeHaan and Goth have great on-screen chemistry, and they form a brother/sister relationship. After seeing this film in its entirety, I don’t think there is any other actress that could play Hannah as perfectly as Goth did. Jason Isaacs plays Dr. Volmer, and just like DeHaan and Goth, he gives the material his all. I have seen Isaacs in a lot of roles, but after seeing him in A Cure for Wellness and The OA, I believe that he has found the perfect type of role that he could practically do in his sleep. Volmer is menacing but not over the top. There are so many films where the villain come across as so evil that it doesn’t feel authentic. Isaacs makes Volmer seem crazy but still grounded in his beliefs. Gore Verbinksi and Bojan Bazelli (Director of Photography) create such a beautiful looking film. Bazelli, who was also the Director of Photography on Pete’s Dragon is one of the best in the business. Between Pete’s Dragon and A Cure for Wellness, I would love a frame by frame artwork book of these two films. There is a stunning shot at the beginning where Verbinski shoots from the side of the speed train and focuses on the mountains. I seriously would love a photo of that scene to hang on my wall. This is one of those films that every scene is just visually stunning with jaw-dropping cinematography. There is another stunning scene where Lockhart is looking back at the spa while driving away. He sees Hannah standing on a castle wall looking down at him. It’s hard to explain why scenes like these are so incredible but when you see the film, you will understand. I don’t think there is anyone who can deny how gorgeous this film looks. The score by Benjamin Wallfisch is hauntingly beautiful. It fits the tone of the film perfectly. The end credits feature a rendition of the Ramones, I Wanna Be Sedated which is such a subtle yet comedic way to finish the film. There is so much attention to detail that it is almost impossible not to admire how ambitious of a project A Cure of Wellness truly is. Just the mere fact that Verbinski shot some of the scenes at Hohenzollern Castle is a remarkable feat in itself. It is a film that tries things, and even if they don’t always work, I can’t help but give Verbinski credit for trying to break the mold. A Cure For Wellness is the type of film that you just don’t see every day. It is a film that will be inevitably misunderstood and underappreciated by the masses. Verbinksi and Haythe have created something dark, bold, and beautiful. It takes a lot of chances and dives into some pretty iffy territories along the way. I can totally see how some subject matters in the film may cause certain American audiences to feel a bit too uncomfortable. To me, A Cure for Wellness was a huge surprise and one that I cannot wait to revisit over and over again. I love films that pose significant questions while making statements about the world. I love that this isn’t a watered down version of Verbinski’s vision but rather a deeply psychological 146-minute roller coaster ride. A Cure for Wellness might not be for everyone, but it is easily one of the most ambitious and best films of 2017 thus far. I loved this film. Scott “Movie Man” Menzel’s final rating for A Cure for Wellness is a 9 out of 10. 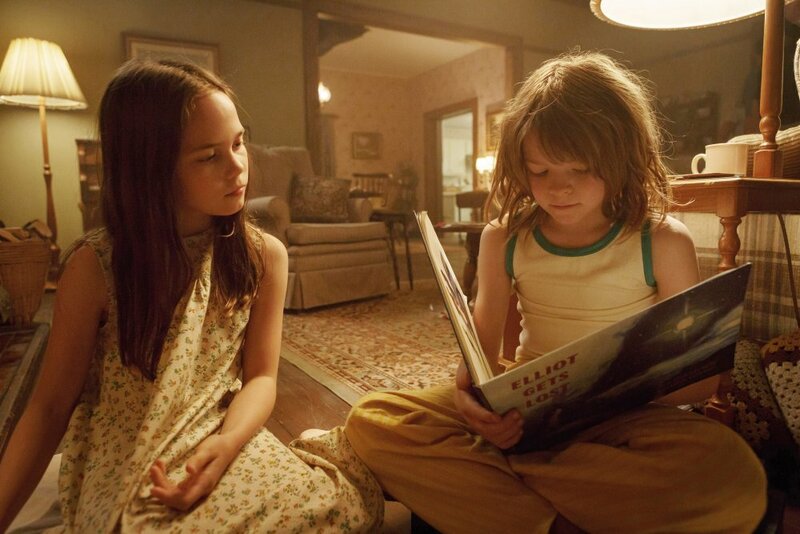 20 Fun Facts about ‘Pete’s Dragon’s’ Oakes Fegley and Oona Laurence.